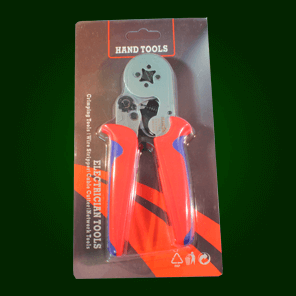 Self-adjustable crimping tool used for 23 AWG - 10 AWG wire & cable end-sleeve ferrules. 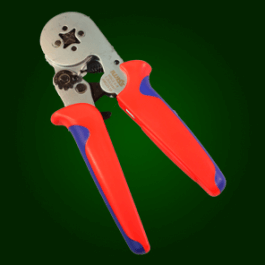 This is a ratcheting crimping tool for ferrules manufactured by IWISS. It has a quadrilateral crimp profile utilizing four serrated crimp surfaces. Used for crimping ferrules between 23 AWG and 10 AWG. It is applicable for tubular bare terminals and pre-insulated terminals for making a standard electrical connection with wire.